Through membership in a Lions club, people not only help those in need, but have opportunities to develop personal friendships and gain valuable leadership skills. Membership is open to men and women of legal majority and good reputation in the community, and is by invitation only. Our club meetings are held on the first and third Tuesdays of each month (except July & August when we hold one meeting on the first Tuesday of the month). If you are interested in fun and fellowship while serving the needs of our community; consider investigating membership. Confidence building; 'Lions' area great opportunity to take on roles and get involved in projects that you're passionate about, and THAT means you have the chance to grow skills that are really valuable both in your career and in life. Membership in our Lions Club is by invitation. To be considered please contact us, volunteer your assistance at one of our events, community service projects or fundraisers. Alternatively, send us an email expressing your interest, concerns you feel we may wish to address in the community and what you feel you can contribute to addressing that challenge. 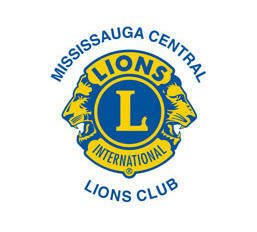 Contact the Mississauga Central Lions Club via email at membership@lionscentral.com. Please include your phone number(s) and the best times to reach you. The association is governed by an international board of directors. Each year, more than 20,000 Lions attend the Lions Clubs International Convention to discuss new ideas, share experiences and reaffirm friendship and fellowship.